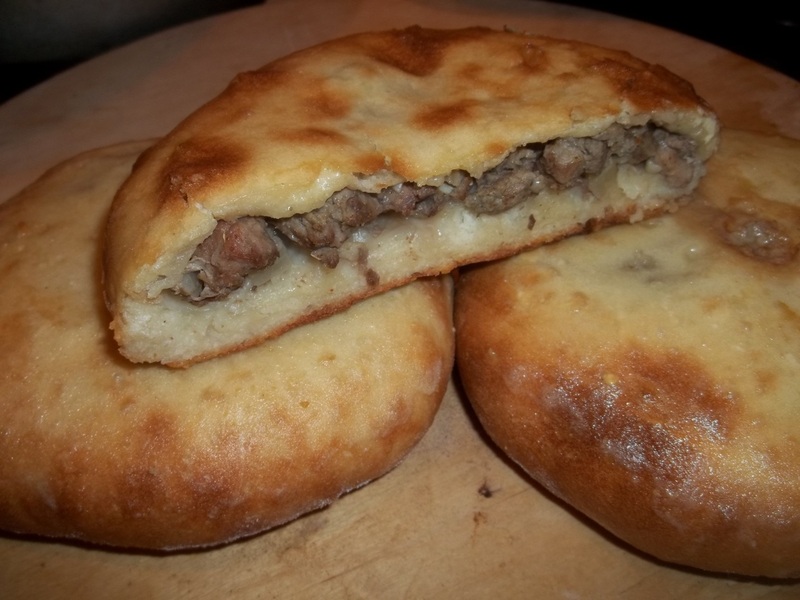 Kubdari (Georgian: კუბდარი) is a meat filled pastry that originates from Georgia’s Svaneti region, where it is also called ‘kuptaari’. It can be made with either beef or pork but the most popular version uses both. It should be made with cut meat and not minced meat. 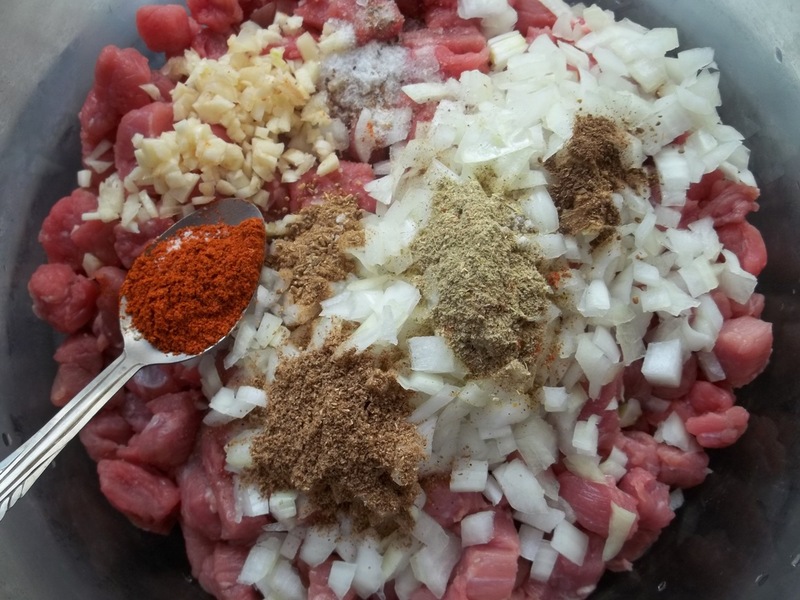 Ingredients (filling): 500 grams of pork, 500 grams of young beef, 1 medium sized onion, 2 cloves of garlic, 1 third tsp of powdered cumin, 1 quarter tsp of powdered dill, 1 level tsp of dried coriander, 1/2 tsp of blue fenugreek, 1 tsp of red pepper and salt (amount dependent upon individual preference). 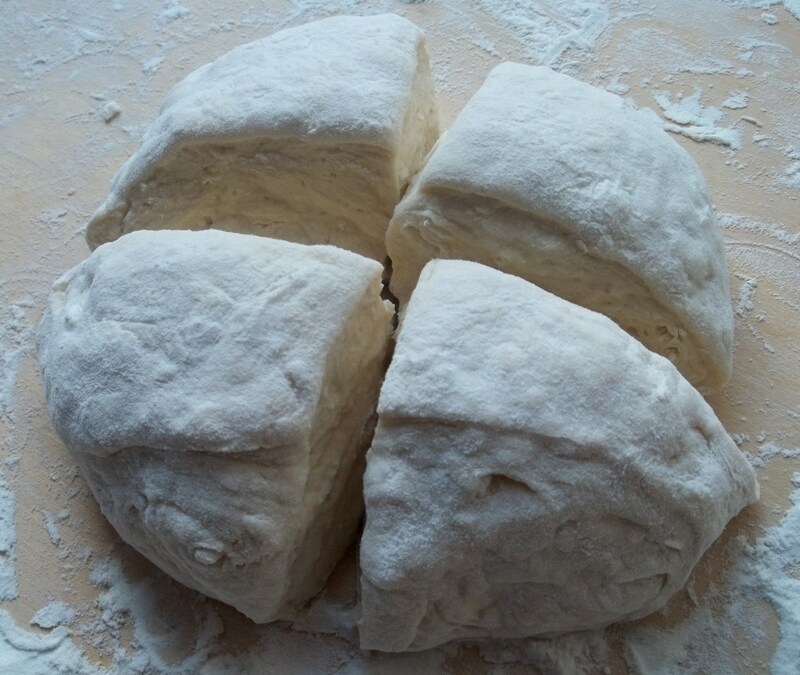 Ingredients (dough): 900 grams of flour, 400 ml of warm water, 1 level tbs of yeast, 1 tsp of sugar, 1 tsp of salt, 1 egg (optional) and 200 grams of all-purpose flour for dusting and kneading. Butter for glazing. 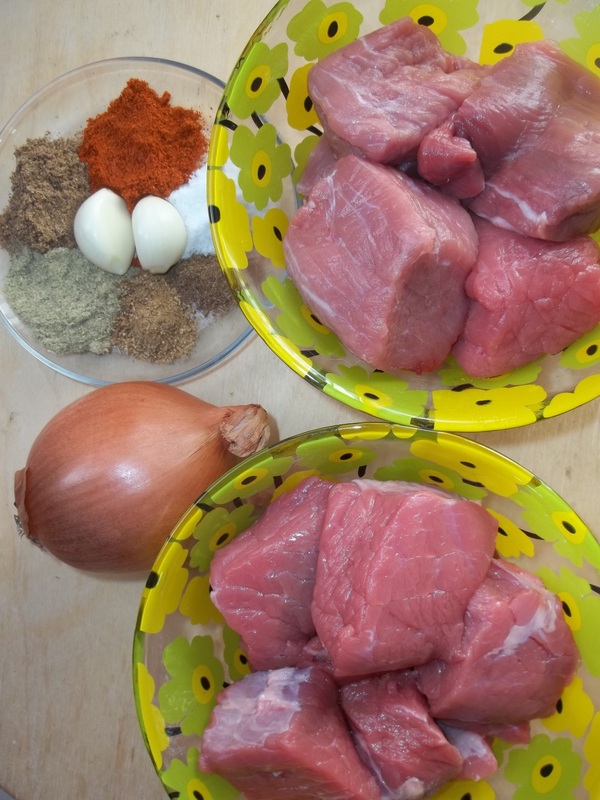 Preparation (filling): Cube the beef and pork and add to a mixing bowl. Finely chop the onion and garlic and add to the mixing bowl, together with 1 third tsp of powdered cumin, 1 quarter tsp of powdered dill, 1 level tsp of dried coriander, 1/2 tsp of blue fenugreek, 1 tsp of red pepper, and salt (amount dependent upon individual preference). Use your hands to thoroughly mix and squash the ingredients. This helps to ensure that the kubdari is juicy and the spices blend with the meat. 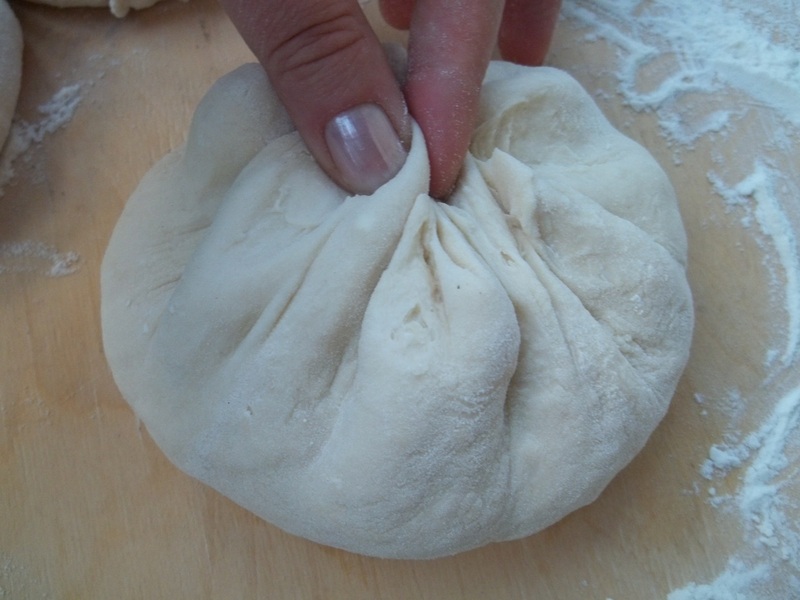 Preparation (dough): Kubdari requires a robust pastry that uses more flour than usual dough. To make it, add 400 ml of water (heated to 35 C) to a bowl and stir in the yeast. Add 900 grams of flour to a mixing bowl and make a depression in the flour. Add the yeast water and a raw egg (optional). If you want the pastry to have a golden color you can add 1 tsp of sugar. 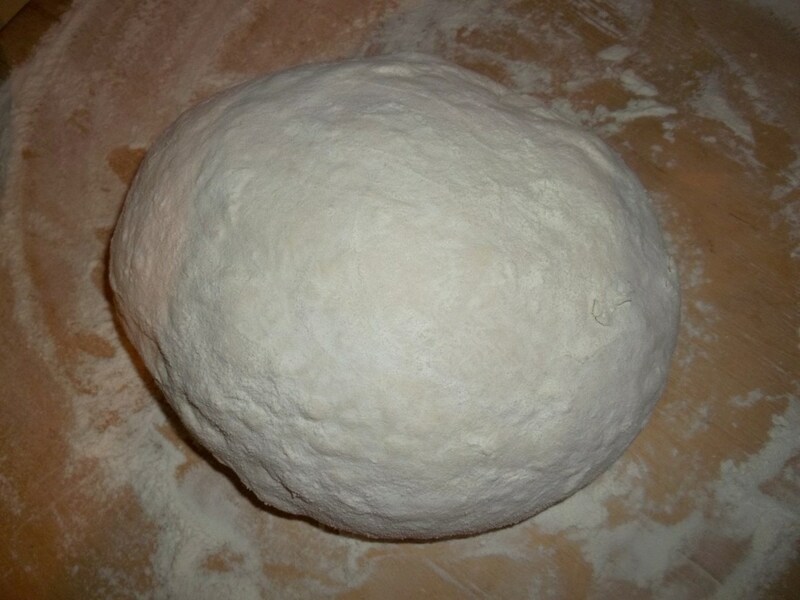 The dough should be formed into a soft ball. 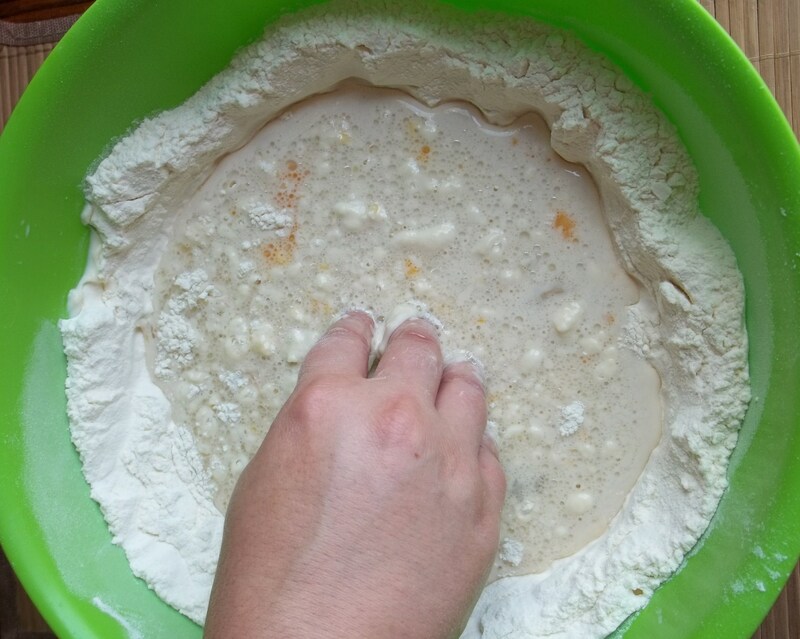 Cover the bowl with cling film and leave in a warm place for 2 hours for the dough to rise. 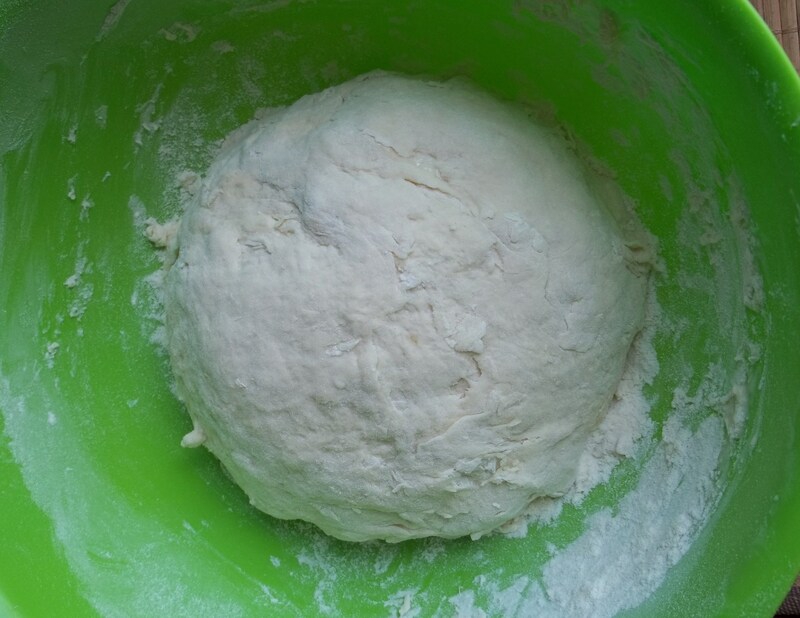 Once the dough has risen, add 150 grams of flour and firmly knead the dough. When ready, place the dough on a flour dusted preparation area. Mold the pieces into balls. Cover the dough balls with cling film and leave for 10 minutes. 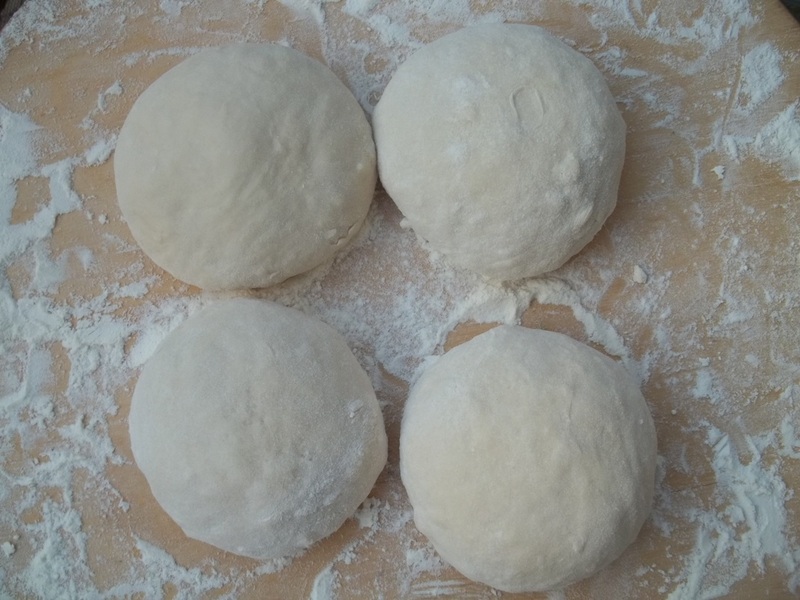 Roll out each ball of dough and add the filling. 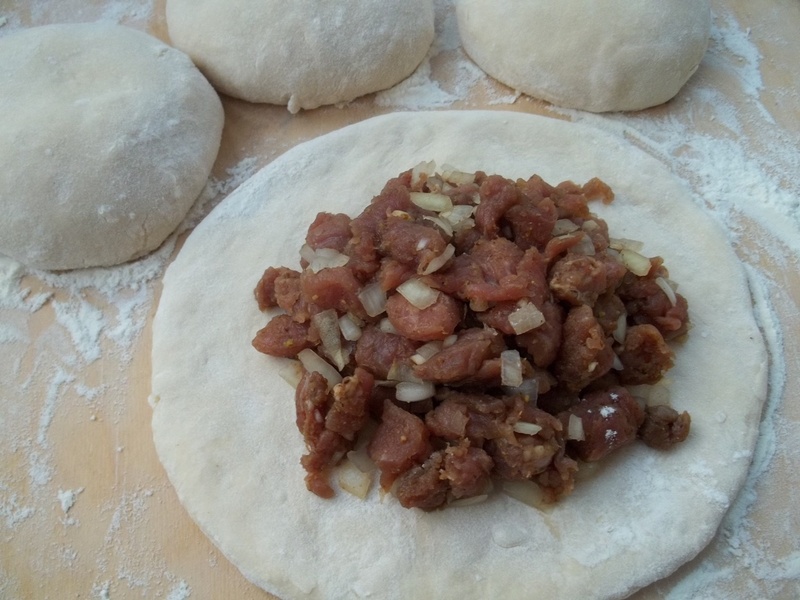 Wrap the dough around the filling and pinch the top to seal it. 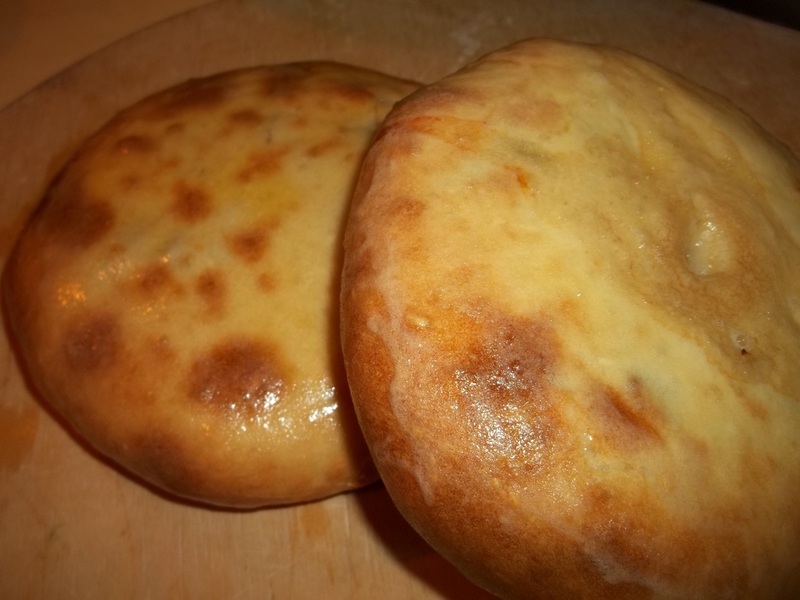 Carefully press the filled dough into a circular shape that is less than 20 cm diameter. Don’t flatten it too much. Some cooks make a little hole in the middle before baking. 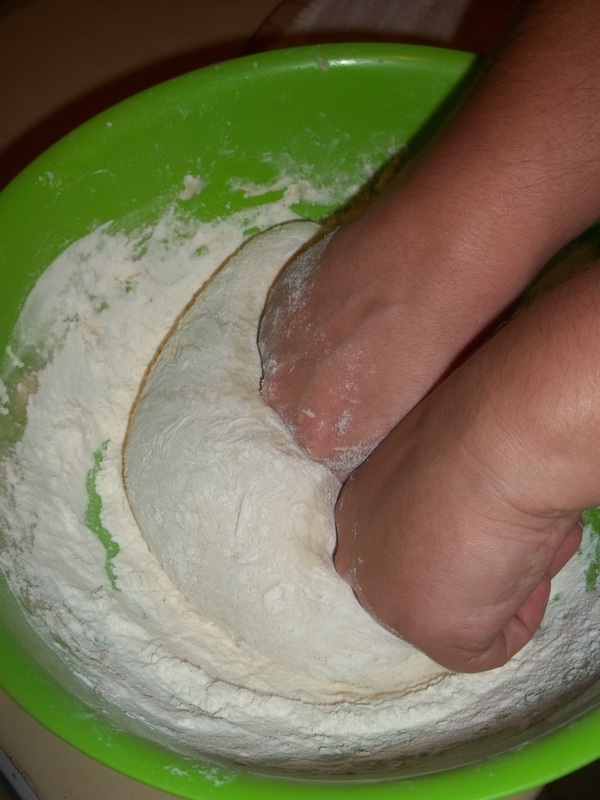 This can help to prevent the dough bursting during baking but if the dough has been made correctly it should not be necessary. Bake on a flour dusted baking tray at 200 C until the dough becomes golden brown. 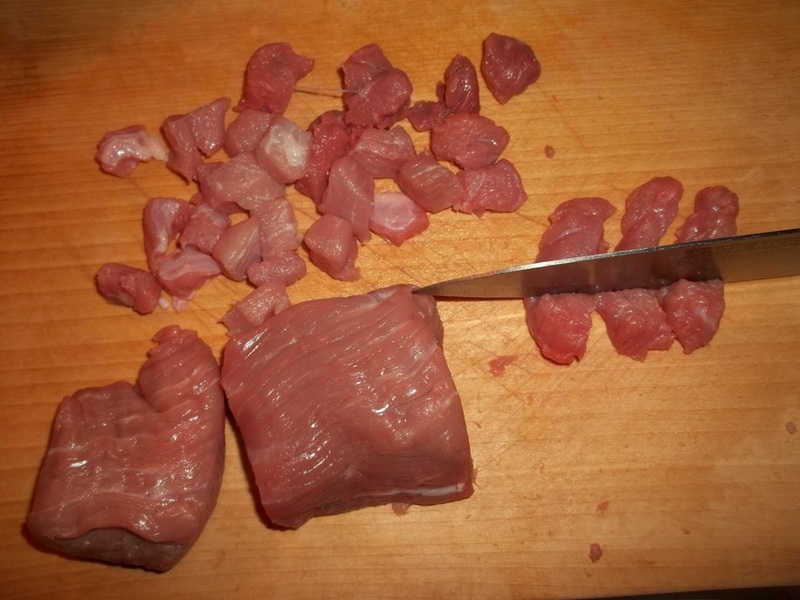 The meat will cook in its own juices. 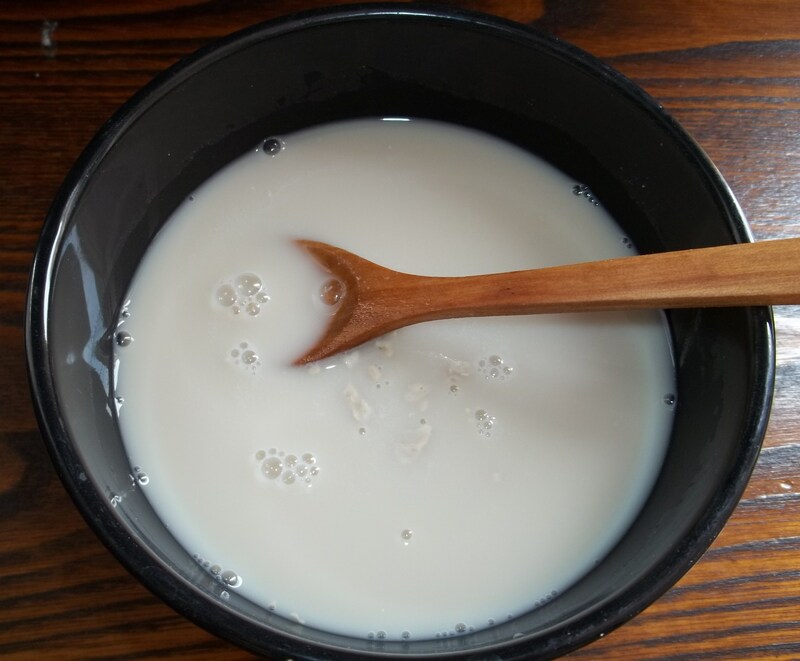 Serving: Glaze the surface of each Kubdari with butter and serve hot. My name is Martha Theodosioou and I am an Intern-Project Assistant at the Unrepresented Nations and Peoples Organization (UNPO). I am writing to in order to ask you for your support with a project our organization is developing. UNPO is a membership organization. Our members are unrecognized nations, minorities and indigenous peoples around the world. Because the current situation of many of our members is not well publicized in the media, we are developing several projects to promote their cause. One of them is a Cook Book, in which we hope to gather traditional recipes from the regions our members (former and current) come from. Georgia was a member of the UNPO until July 1992. 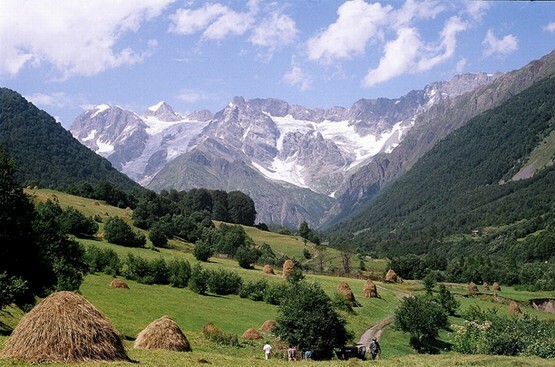 We would like to include a typical Georgian recipe in our book. 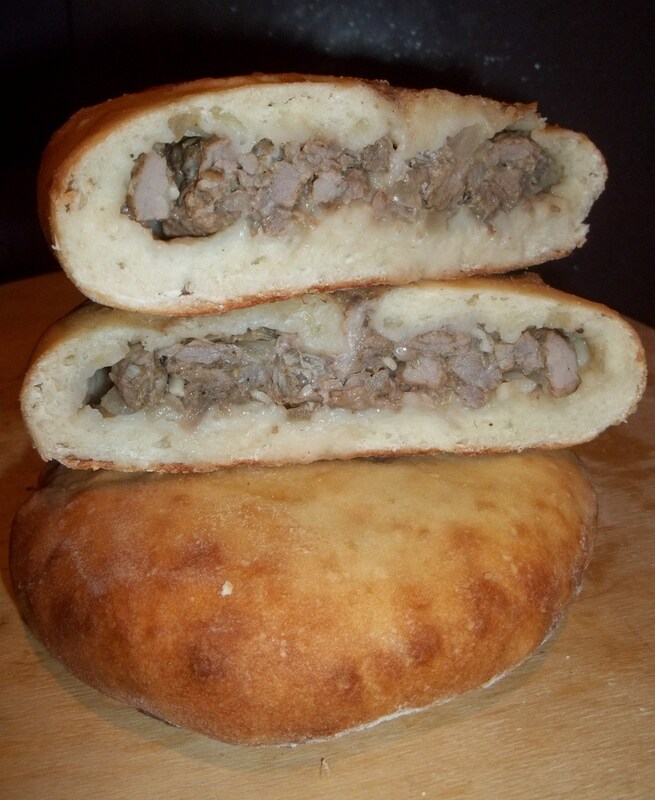 We are thinking of KUBDARI, as we found out that this is a very popular dish among Georgian people. We would like to ask for your opinion, whether you agree or you have another suggestion. In addition, being a small organization and running on a very low budget, we are not in the position to hire a professional photographer to take the pictures for us, which is why we are looking for photographers who would be willing to cede us the right to use their photos in our book. For this reason, you are kindly requested to provide us with a recipe picture that you are authorized to use. We would certainly make sure you get proper accreditation for your picture.